Is The Healthiest Oil One You Never Heard Of? We love using healthy oil when we cook. We make salad dressings and marinate our meats with it, and put it in our Triple Threat meal replacement shakes. That’s because food just tastes better with a little fat. The fact is, fat is essential for every cell in every system of your body to function properly, and getting enough GOOD fat in your diet is essential to optimal health. But, which fats are the GOOD ones and which are BAD, and is the healthiest fat an oil most people have actually never heard of? While most people have no problem taking in enough fat through their diets, there are many different kinds of fat and each one can have very different effects on our health. There’s saturated fat, and two types of unsaturated fat – monounsaturated fat and polyunsaturated fat. Additionally there are two special kinds of polyunsaturated fats that we really need to pay close attention to if we want to prevent disease – there called Essential Fatty Acids (aka. EFAs). EFAs are found in both plant and animal based foods, and are split into two families: omega-3 and omega-6. As is the case with most families, finding a harmonious balance between them can be a bit tricky. Omega-3, is grossly under-consumed in the Western diet, and is typically found in plant-based foods like flax seeds and chia seeds or in cold-water fish or shellfish such as salmon, tuna, oysters and anchovies. Omega-3 has a calming or anti-inflammatory effect on the body, and has been shown to strengthen the immune system, promote brain development, improve cardiovascular function, reduce anxiety, alleviate arthritis pain, and even burn body fat. In contrast, omega-6 is grossly over-consumed in the Western diet and is found in foods like whole grains, eggs, nuts, seeds, fatty cuts of meat such as bacon or dark meat chicken, vegetable oils, and even in “healthy oils” such as avocado or olive oil. In contrast to omega-3, omega-6 has a stimulating effect and in most cases tends to increase inflammation, which is essential for blood clotting, cell proliferation, and a normal immune system. Omega-3 and omega-6 work beautifully together when in they are in balance – you can kind of think of them like yin and yang. But when they are out of balance all sorts of problems can occur. Most people have heard that the American diet is much too high in omega 6’s (some research shows ratios as high as 25:1) But, did you know that a diet high in omega-6 can cause inflammation, and inflammation has been linked to many debilitating health conditions and disease including heart disease, diabetes, and obesity? To reduce your risk for diseases linked to inflammation it is important to achieve an omega-6 to omega-3 ratio of as close to 1:1 as possible (no more than 4:1). To do this, it is essential to eat foods that increase your omega-3 levels and to avoid foods that increase your omega-6 levels. So we now that we’ve established the benefits of getting enough omega-3 and the dangers of excessive omega-6, now let’s focus on popular kitchen oils such as grape seed, canola, sunflower, corn, avocado and olive, and see how these seemingly healthy pantry staples may be your biggest enemy when it comes to your health! Let’s breakdown the most common oils on the market today, and why, in the end, our number one choice stands above as the best. Don’t be fooled by the word vegetable in vegetable oil. You’re hardly going to get any wholesome nutrition out of this imposter. If you see vegetable oil on the ingredient list of any packaged food, run. Vegetable oils are extracts from one or a combination of different seeds, such as canola (or rapeseed), soy, sunflower, safflower, cottonseed or corn, and are one of the worst dietary offenders you could ever consume. Let’s explore just a few of the reasons why they deserve a spot on your ‘no-fly’ list when it comes to your health. A New Fat For Health? In our modern society, most people ingest vegetable oils everyday. That’s because vegetable oils are found in practically every commercially made, processed, or fried food you can think of, from salad dressing, French fries, mayonnaise, chips, baked snacks artificial cheeses, sauces, and even many store bought nuts and seeds. But did you know that the use of vegetable oil was nearly non-existent before at the beginning of the 20th century? It wasn’t until the 1950’s that consumption really took off when the medical community started trying to convince people to avoid “artery clogging” saturated fats (like lard, butter and coconut oil) to start eating “heart healthy” vegetable oils and a new type of butter substitute called margarine made from that very same vegetable oil. But, was this change in the type of fat we consume really the best advice? Well, 50+ years later, science has shown us that the answer is NO! When we look at the makeup of the human body we find that in terms of fat content it’s about 97% saturated and monounsaturated fat, with only 3 % polyunsaturated fats – and half of those polyunsaturated fats are omega-3 fats. When you look at vegetable oils one thing stands out above everything else – they contain very high levels of polyunsaturated fats! Oxidized polyunsaturated fats are also damaging to the reproductive system and the developing bodies of children and unborn babies. This is because the reproductive system in both men and women is constantly producing and dividing new cells, the potential for mutation (i.e. danger) increases greatly when these cells are made of the wrong kind of fats and are oxidized. And for children and unborn babies there is even more potential for mutation because their cells are dividing at high rates. Research also shows that excess consumption of vegetable oils can cause problems with our hormone production, since hormones are dependent on certain fats for their manufacture. Margarine and shortening (i.e. vegetable oils that are hardened by hydrogenation) are especially damaging. And last, but not least, do you remember when we said that vegetable oils oxidize easily? 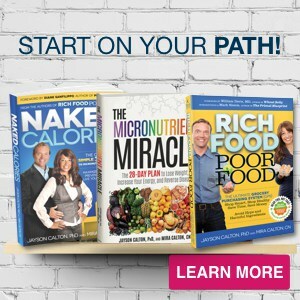 You knew we were going to talk about micronutrients somewhere – right? Well it turns out that the more vegetable oil you consume the more it depletes the body of precious antioxidants. This is because the body must use these antioxidants at a higher rate to neutralize the oxidation. Because of this people with high consumption of vegetable oils are at risk for antioxidant deficiencies (including Vitamin E and other vitamins and minerals that act as antioxidants). Most vegetable oils are made from genetically modified (GMO) crops (i.e. corn, soy and canola). The big problem with these oils (aside that they are made from fake food) is that these plants are heavily sprayed with toxic herbicides and pesticides, such as Round-Up (aka. glyphosate), and the parts of the plants that are processed to make the vegetable oils can still contain this toxic chemical residue. And if this is not enough, most vegetable oils and/or the products they are in, contain BHA and BHT (Butylated Hydroxyanisole and Butylated Hydroxytoluene) (aka. The Butylated Brothers) Manufactured from petroleum (yummy! ), BHA and BHT are waxy solids that act as preservatives to prevent food from becoming rancid and developing objectionable odors. The problem is that the National Institutes of Health reports that BHA is reasonably anticipated to be a human carcinogen based on evidence of carcinogenicity in rats, and the state of California lists it as a carcinogen. That reminds us, don’t forget to pick up that polyunsaturated packed, omega-6 loaded, petroleum laced, GMO created, glyphosate filled, chemically deodorized salad dressing for tonight’s family dinner. Next to their highly processed, destructive nature, vegetable oils are also predominant in the pro-inflammatory omega-6 fatty acids that we are trying hard to minimize in favor of more anti-inflammatory omega-3s. By consuming these oils, you’re increasing inflammation, and subsequently increasing the risks for multiple diseases, health conditions, imbalances, weight gain, and cellular damage. One of the simplest insurance policies against all of these risks is to cut them from your diet…immediately! The bottom line is vegetable oils are potentially dangerous. From the chemical makeup itself to the processing, chemicals and additives found in the vast majority of vegetable oils, using these oils can produce potential cancer causing compounds in the body, and can be linked to liver/kidney damage, immune problems, infertility/sterility, high cholesterol, heart attacks, weight gain, and behavioral problems in children. Ok, so if vegetable oils are out, what about other popular kitchen oils like Avocado, Olive, Coconut, or MCT oils? This one is a wolf hiding in sheep’s clothing that we have written about before. You’d think that avocado oil, of all things, would be safe to consume. After all, what’s an avocado compared to something like GMO soy? While we think the actual avocado is great to enjoy as a whole food, the same just can’t be said for its oil. We’re going to keep this one short and sweet. Avocado oil, while definitely healthier than vegetable oil, is still high in its omega-6 content. A single tablespoon (14g) of avocado oil contains 1754 mg of omega-6, with only a meager 134 mg of omega-3, equaling to a 13:1 ratio of omega-6 to omega-3. 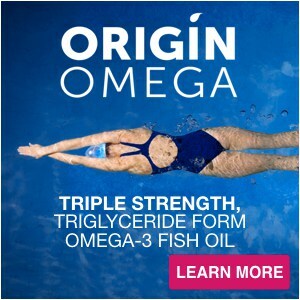 Our aim is to achieve an optimal ratio of 1:1 of omega-6 to omega-3. By using avocado oil as your go to healthy oil, you’re adding to the likelihood of developing one of the inflammation based health conditions or diseases affecting millions of Americans today. Yes, we’re going there. Aside from dangerous vegetable oils, olive oil may just be the everyman’s oil of today. But like avocado oil, it’s still a not-so-ideal oil to consume on a regular basis. Just like Avocado oil, Olive oil is high in inflammation causing omega-6 fatty acids (13:1). A little omega-6 is good, but too much may have negative effects. So we have to bid adieu to using olive oil as your go to healthy oil. Over the years, both coconut and MCT oil have risen in popularity. Most supermarkets carry coconut oil today, and health food store shelves now feature some sort of MCT oil in their line of supplements. But there are a few reasons why these oils still aren’t always the best choice. MCTs, or Medium Chain Triglycerides, seem almost too good to be true. 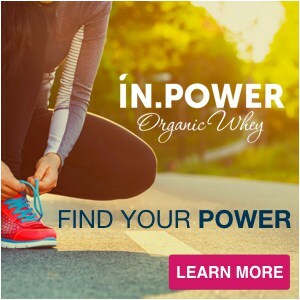 They’re easy to digest (making them great options for those of you with digestive or metabolic concerns), are immediately converted into energy rather than being stored as fat, and can actually help stimulate your body’s metabolism, leading to weight loss. It’s the fat that burns fat. MCT oil is entirely made up of saturated fat (meaning it is free of polyunsaturated fats) and contains no omega-6! The problem with MCT oil is that it can create an uncomfortable scratchy feeling in your throat and it has an unfortunate reputation for causing GI upset for some people who take it. Additionally, one of the big benefits of ingesting fat is to help your body absorb the essential fat-soluble vitamins A, D, E and K as well as other essential micronutrients including carotenoids, calcium, and magnesium. Because MCTs are not digested like regular fat and don’t stimulate the secretion of bile acid (i.e. don’t contain long chain fats LCFs), they can’t help you absorb all those good fat-soluble vitamins and other essential micronutrients. These issues make it almost impossible to use MCT oil as a go to healthy oil. Coconut oil is another amazing oil and is actually a natural source of MCTs. On the positive side, it is mostly saturated fat (contains only a very small amount of omega-6 (180 mg per 3.5oz.) and no omega-3) and has been shown to have amazing heart-healthy, cholesterol-normalizing, immune-supportive, thyroid-boosting, anti-bacterial/viral properties. Additionally, coconut oil does contain the long chain fats (LCFs) necessary to help the body absorb essential fat-soluble vitamins. However, coconut oil has a few problems too. First it has a very distinct flavor that can alter the flavor of the foods you use it with. And second, a good organic coconut oil is solid at temperatures below room temperature (76°F) making it very hard to use with cold applications or in making items such as salad dressings or frozen smoothies. Because of these reasons, coconut oil can be hard to use as your go to healthy oil. At this point you are probably wondering what our go to healthy oil is. We gave a loud and resounding NO to the high inflammatory, GMO vegetable oils, and two thumbs down for both avocado and olive oil. And coconut and MCT oil weren’t exactly our number one choices, either. So what’s left? 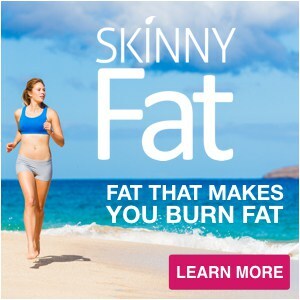 SKINNYFat is an incredible, easy to use, kitchen oil that most people have never even heard of. It’s a combination of the two best oils from the list above – MCT oil and Organic Coconut Oil. 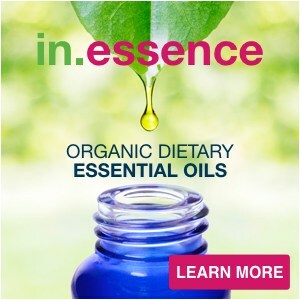 By blending these two amazing oils together, using our patent pending process, we are able to create a highly versatile oil that is free of inflammation causing omega-6s, contains just enough long chains fats to be able to help absorb essential fat-soluble vitamins, remains liquid at both room temperature and when refrigerated, and is free of the distinct flavor of coconut and the throat scratch and stomach upset from MCT. And because MCTs are used as immediate energy, it is nearly impossible to store SKINNYFat as body fat, which makes SKINNYFat perfect for anyone wanting to lose weight, control hunger, and naturally increase their energy. Here is how it works, the majority of fat in SKINNYFat are MCTs, which as we mentioned above, do not require bile salts or pancreatic enzymes for digestion and instead are rapidly metabolized by the liver producing something called ketones. Ketones are an alternative form of energy that can be used by both your body and brain. If you are using an exogenous KETO product or following a low carb diet SKINNYfat will deliver tons of usable ketones and will not increase your omega-6 levels (which is one of the biggest mistakes for low carb dieters). SKINNYFat is also super easy to digest and perfect for the more than 25,000,000 Americans with a removed or poorly functioning gallbladder. Although the majority of the fat in SKINNYFat comes from MCTs, which bypasses the normal process of digestion, SKINNYFat was specially formulated to contain just the right amount of long chain triglycerides (LCTs) to stimulates a minor release of the bile acid needed for the proper absorption and utilization of the fat-soluble vitamins A, D, E and K as well as other essential micronutrients including carotenoids, calcium, and magnesium. This makes SKINNYFat the perfect go to healthy oil! We agree – there is really no other oil that can bring the flavor that olive oil can. That’s why in addition to SKINNYFat we created SKINNYFat Olive. The SKINNYFat Olive blend provides the full Mediterranean flavor of organic extra virgin olive oil, while reducing the amount of omega-6 found in traditional olive oils by 85%! 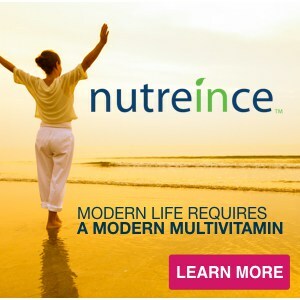 This allows you to enjoyment without worrying about the health risks of inflammation. We urge you to try a bottle of SKINNYFat or SKINNYFat Olive today. Don’t continue to put your health at risk with vegetable oils or even traditional olive or avocado oils – CLICK HERE to learn more about SKINNYFat and watch a short video from us! *Coupon valid for new customers or customers purchasing SKINNYFat for the first time. 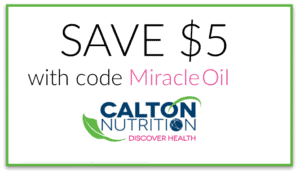 This offer cannot be combined with any other offers or codes at the Calton Nutrition store.